The top of the normal range for prolactin is usually around 15, and so these are clearly big swings. This isn't the first time that we've seen that on the forum. What would cause these kind of wild swings in prolactin? I believe that the root issue may be fluctuations in thyroid hormone output, and below I cite some evidence that this may be the case. In fact, this man had had four TSH reads, and three of them were over the new hypothyroidism threshold of 3.0 mUI/l. He did have a read of 2.2, but many alternative practitioners consider 2.0 to be the true cutoff for hypothyroidism. The bottom line is that much of his history indicates low thyroid function. 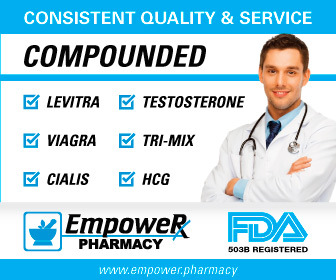 NOTE: High prolactin can lead to lowered dopamine, lowered libido, occasional gynecomastia and lowered testosterone levels. See my page on Testosterone, Prolactin and Prolactinomas for some information. And keep in mind that elevated prolactin should always be discussed with a doctor as some tumors (prolactinomas) secrete prolactin. Clearly, that seem just a bit beyond coincidental, eh? (However, this study did not find nearly as significant of a link with male patients. As I'll show below, this is likely still significant for many men.) It would take years before resarchers discovered the mechanism underlying this correlation. Did hypothyroidism cause elevated prolactin or the other way around? MECHANISM OF ACTION: So which is the chicken and which is the egg? It turns out that TRH stimulates both TSH and prolactin. TRH is the upstream hormone secreted by the hypothalamus that in turn triggers the pituitary to secrete TSH which in turn tells the thyroid to produce T3 and T4. So clearly any type of hypothyroidism that would lead to elevated TRH levels would likely cause increased prolactin. And this is indeed the case generally with primary hypothyroidism for example. NOTE: You may also be interested in my page on How to Lower Prolactin Levels as well. 2) Amer J of Medicine, May 1978, 64(5):782 787, "Serum prolactin levels in untreated primary hypothyroldism"
3) Prolactin: Physiology and Clinical Significance, 1973, D.F. Horrobin, p. 133. 4) Caspian J Intern Med. 2011 Spring; 2(2): 229 233, "Hyperprolactinemia in association with subclinical hypothyroidism"
5) Lancet, 2011 Jun 11, 377(9782):2007-12, "Iodine status of UK schoolgirls: a cross-sectional survey"